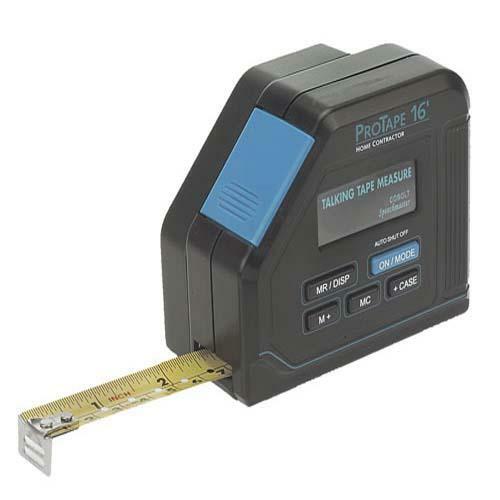 5 meter (16 feet) metal talking tape measure which announces measurements and memory reading in a clear English male voice. Supplied with one PP3 alkaline battery. Replacement battery available from BAY AREA DIGITAL (product code CP17). Dimensions: - Height: 9.45", Width: 5.51", Length: 11.81", Weight: 2.53 lbs.